Despite waging war on tuberculosis (TB) for the past 50 years, India still accounts for one fourth of the patients worldwide. A report by the World Health Organisation (WHO) in 2017 indicates that India continues to have the highest number of cases, with 27.9 lakh people suffering from TB, and 4.25 lakh deaths in 2016. This is despite the fact that about 10 million patients have been treated under the Revised National Tuberculosis Control Programme (RNTCP). While the National Strategic Plan (NSP) 2012-17 made provision for both disease diagnosis and management, and delivery of quality drugs to patients, the targeted numbers continue to be elusive. India has the highest mortality owing to TB with two deaths occurring every three minutes. Those with TB are required to follow a stringent thrice-weekly drug regime lasting six to nine months. There are about ten drugs currently being used for treating TB with the Directly Observed Treatment, Short course (DOTS) being the most effective one. Those who have tested sputum-smear positive are likely to rapidly spread the disease, and need to be treated under the DOTS programme. This is promoted internationally by the WHO as one of the most effective and inexpensive treatment methodologies, for eliminating TB from a population. It is important for TB patients to undergo a complete course of treatment as bacteria remaining in the body may acquire resistance to the drugs used. Drug-resistant TB is even more difficult to treat, and often requires a complex treatment plan to prevent life-threatening adversities. Multi-drug resistant TB remains a public health problem, with more than five lakh cases reported globally. 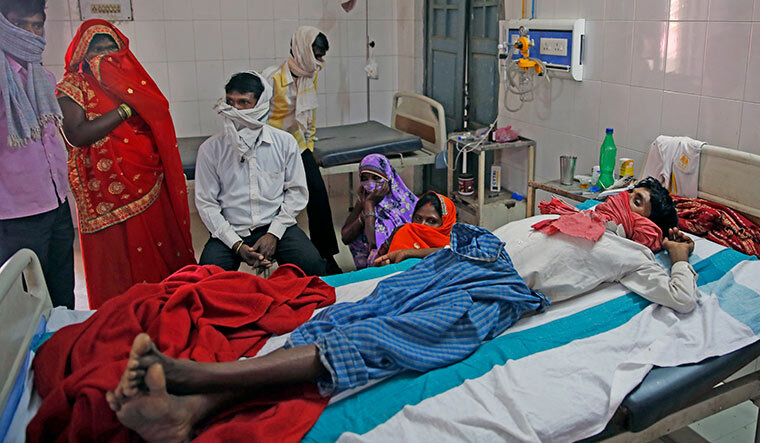 Even as the Indian government has set a target to completely eliminate TB by 2025, there are a large number of patients who do not fall under the treatment bracket. Early detection and treatment remain the key to prevention, while previously treated cases have to be followed up for effective treatment. Another factor is HIV-linked TB cases, which may develop drug resistance. Even though the DOTS programme has been made more aggressive, it is yet to reach its full potential. With more and more cases of totally drug-resistant TB surfacing in recent years, many in the medical fraternity feel that DOTS by itself may not be adequate to completely eliminate the disease in the country. Success rate of treatment remains low, at a mere 54 per cent globally. TB care and prevention, especially in countries with low-income and middle-income, require almost $10 billion. An additional $1.2 billion is required for research and development. Other factors include lack of proper knowledge, poor knowledge of available services, secrecy due to social taboo, and lack of organised care, follow up and reporting system. The private sector reportedly cared for more than half the TB patients in the country while many go unreported. There are many patients diagnosed with latent TB, where bacteria are present in the body but not strong enough to cause symptoms of the disease. Latent TB is spread by patients who show external symptoms of the illness. Latent disease too needs a full treatment course with antimicrobial drugs similar to active TB, and if not treated, one in ten cases can eventually lead to active disease. In India, a large number of people are affected with latent TB, and such patients go undiagnosed because they do not show any symptoms of the disease. The current NSP 2017-25 aims to bring in many changes to the existing strategy. To achieve complete elimination of TB in India by 2025, the government has announced that the financial aid for TB control will be doubled to Rs 16,500 crore. Along with this, a new diagnostic tool known as the Cartridge Based Nucleic Acid Amplification Test (CB-NAAT) will be put in use. Testing for drug sensitivity and resistance is also on the chart, along with concurrent HIV and TB testing for patients with either condition. The campaign has also scaled up the supply of important drugs used in treating multi-drug-resistant tuberculosis (MDR-TB) cases. Prime Minister Narendra Modi has called for “treating every TB patient at the very first opportunity”. He has also roped in the private sector, to bring every patient into the reporting system, for a holistic approach to fighting the disease. Hinting at the social stigma associated with the disease, Modi pointed out that other government programmes such as Swachch Bharat Abhiyaan, and LPG connections (being smokeless) would also address risk factors. The NSP also talks about incentives to private players for adhering to standard treatment. The government’s efforts and commitment to fighting TB has been hailed by the international medical fraternity. While the promise by the government to reach WHO goals ahead of schedule seems praiseworthy, it is a herculean task with India needing to reduce new TB cases by ten per cent per year. India still needs to bring down TB incidence to below 142 cases per 1 lakh people and mortality to 15 by 2020. Amid stories of misdiagnosis, missing cases, interrupted treatment because of side effects, lack of proper nutrition, excessively high cost of treatment, prolonged period of treatment, and social stigma, India faces a crisis of epidemic proportions. With proper care and nutrition, timely diagnosis and planned treatment, TB can be cured and contained. The author is medical director at Portea Medical.